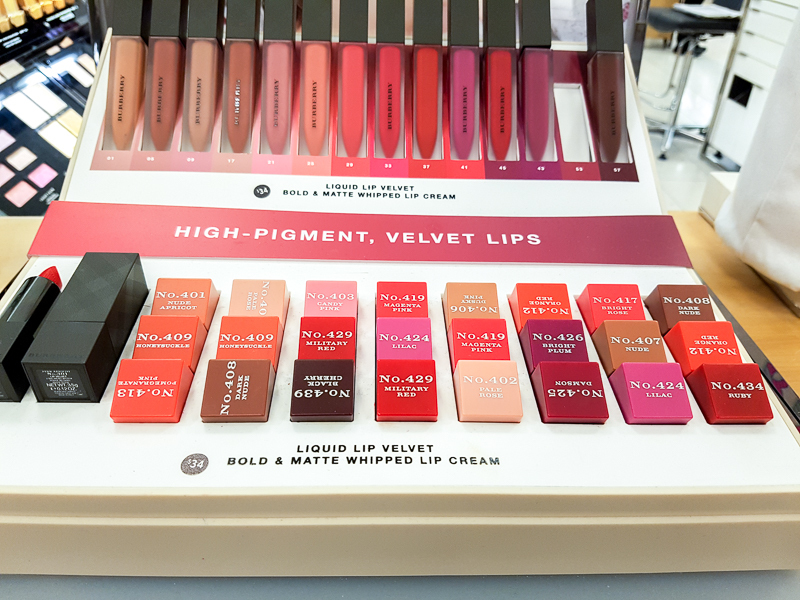 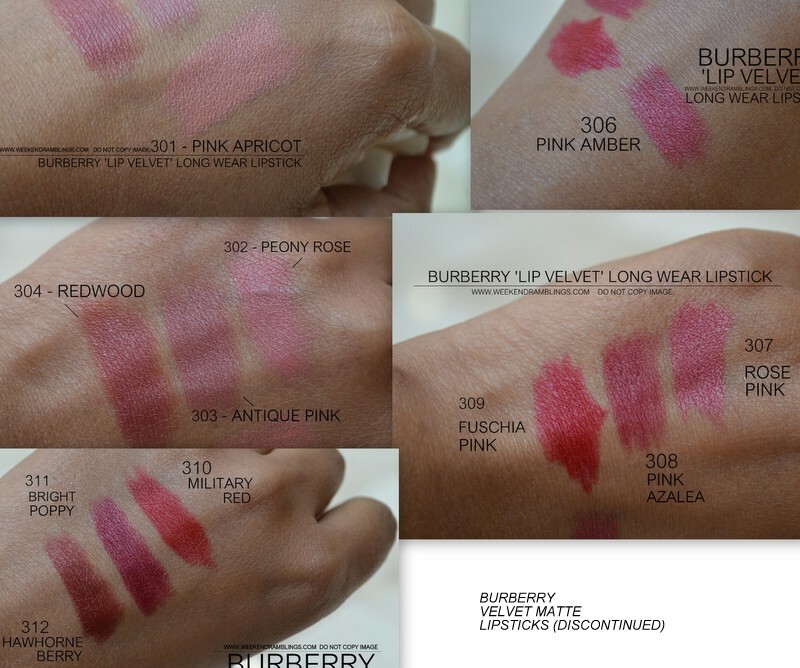 Burberry Lip Velvet Matte lipsticks have a lovely soft matte finish that gives an easy-to-wear, modern look to brighter (as well as deeper/darker) shades. 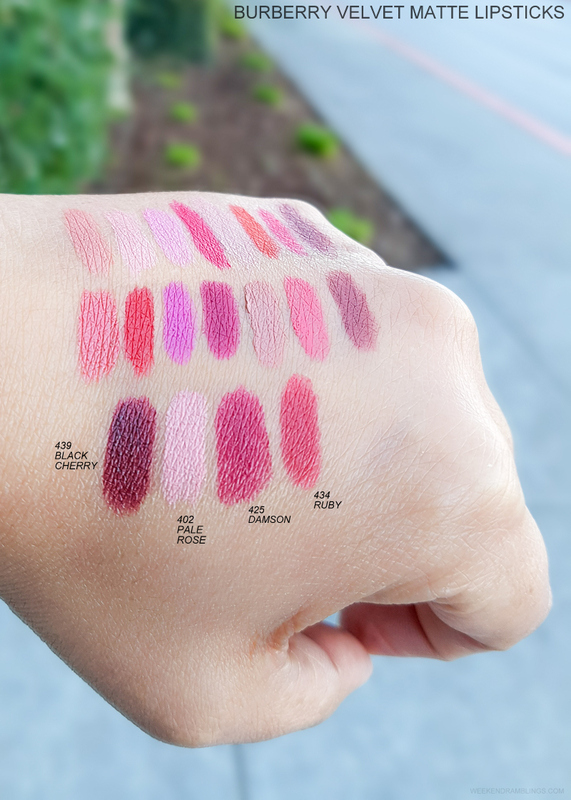 The formula is light and quite pigmented and seems perfect for spring/summer. 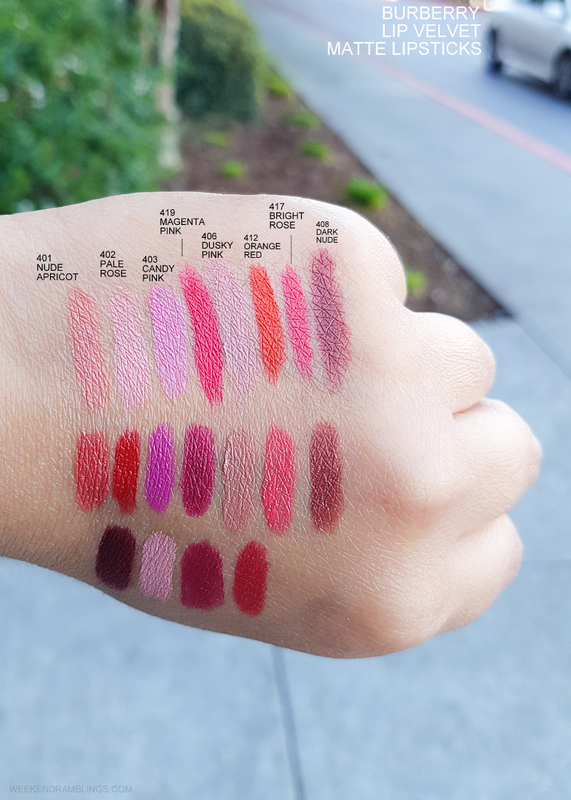 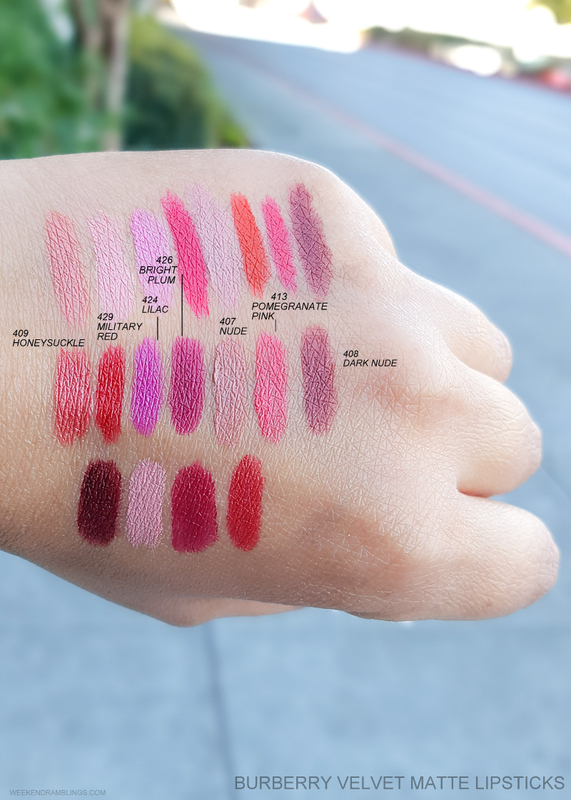 I am also adding in swatches of the older/discontinued shades below (older photos - so please excuse the poor lighting).